Agnontas. 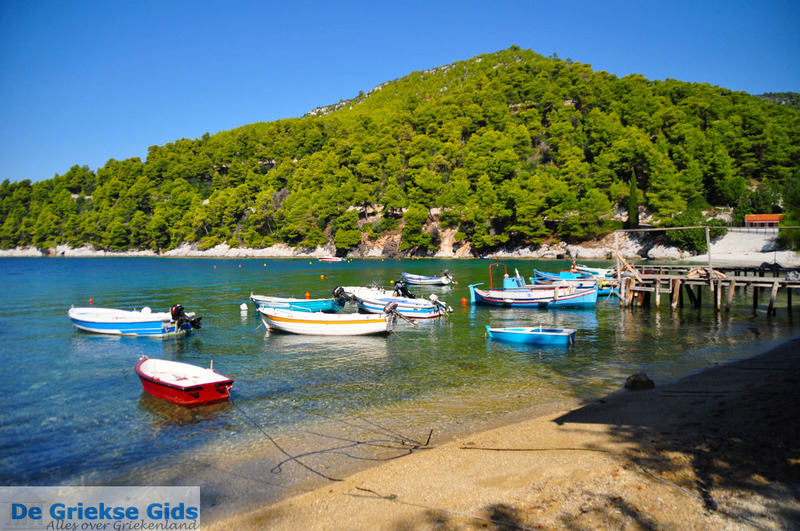 Agnontas is a traditional fishing village on the south coast of Skopelos. 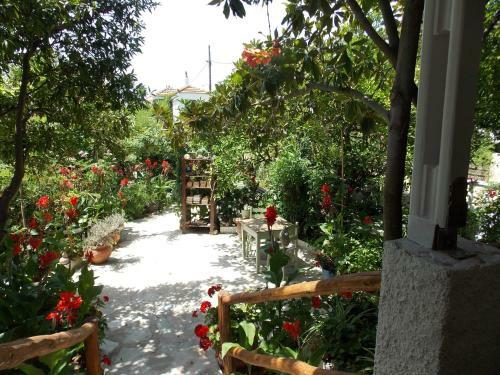 It lies approximately nine kilometres from Skopelos Town, down the slopes of green hills. 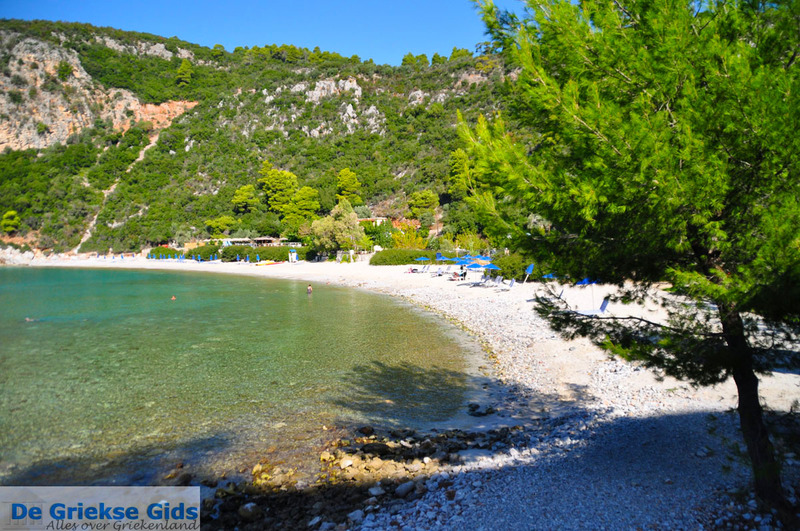 The landscape around the beach of Agnontas is beautiful. 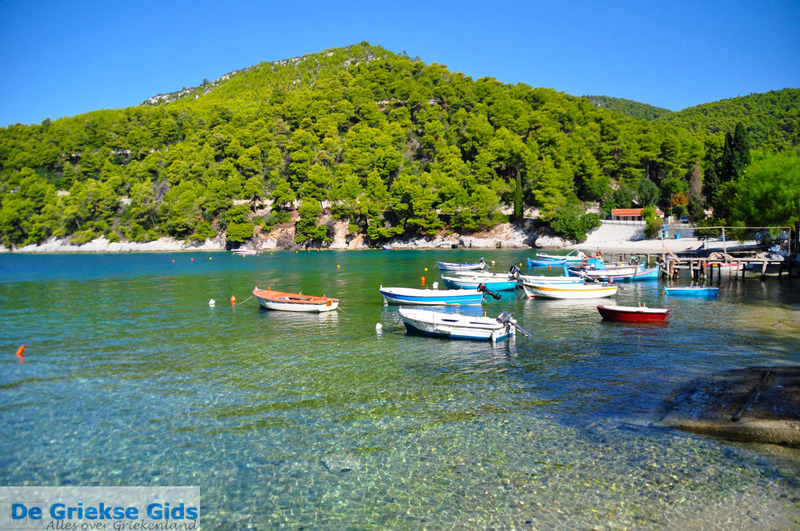 The turquoise colours of the sea, the blue sky, the pine trees on the hills. 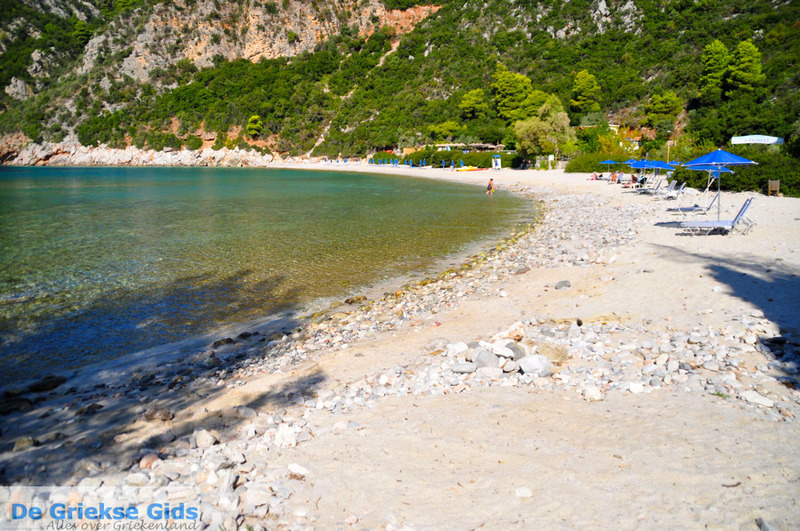 The white beach consists of large and small pebbles and off white sand. On the beach, sun beds and umbrellas are for rent. 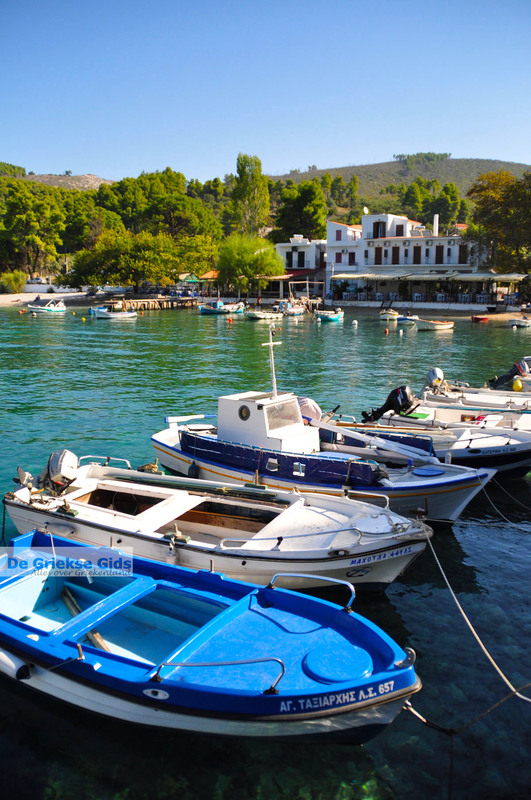 Agnontas is in a fairly closed bay, it is a good place for boats to moor. In Agnontas is a port where in bad weather even the great ocean liners can dock. 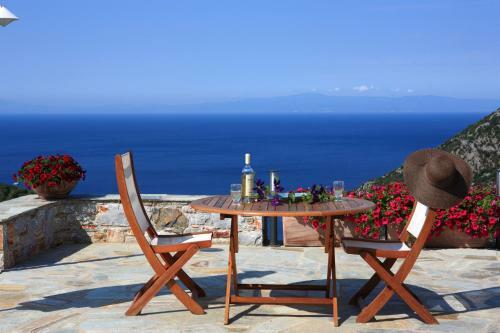 On the beach are some very nice terraces, next to the water. 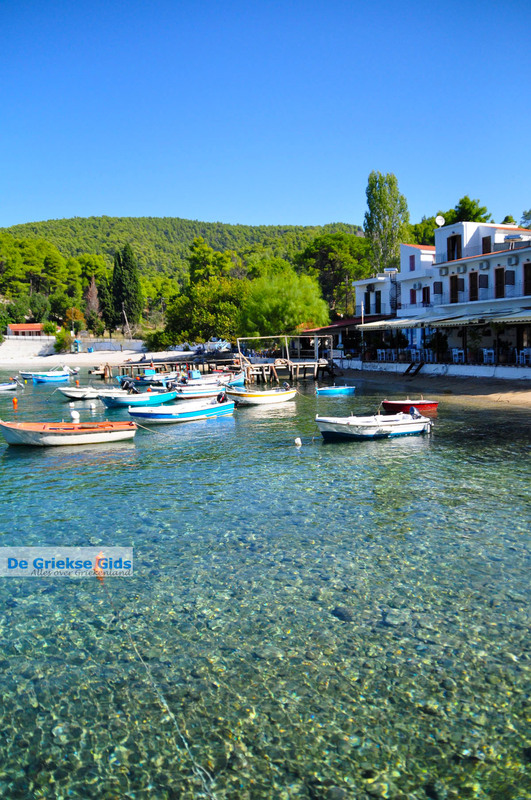 Here you can order fresh fish along with a delicious white wine or ouzo. During winter, few people live in this town and it is almost completely deserted. 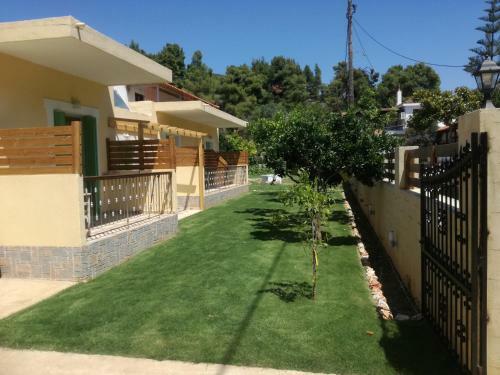 Three kilometres from the beach is another beach that is very popular. 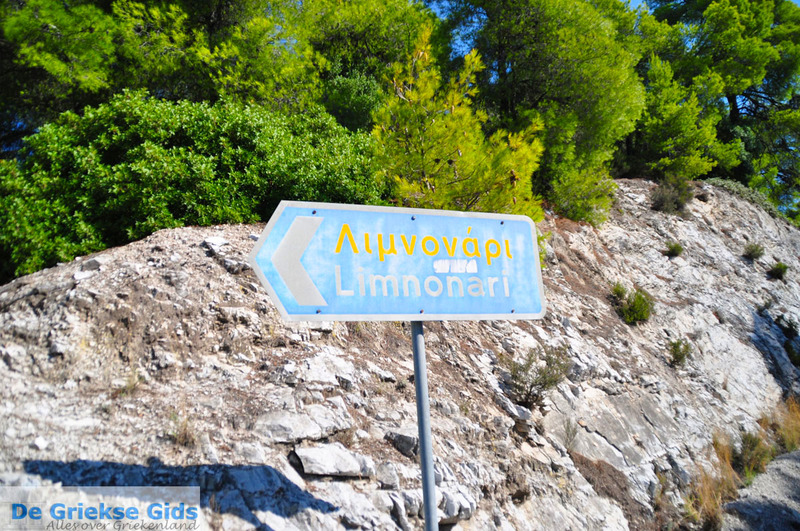 This is the beach Limnonari. 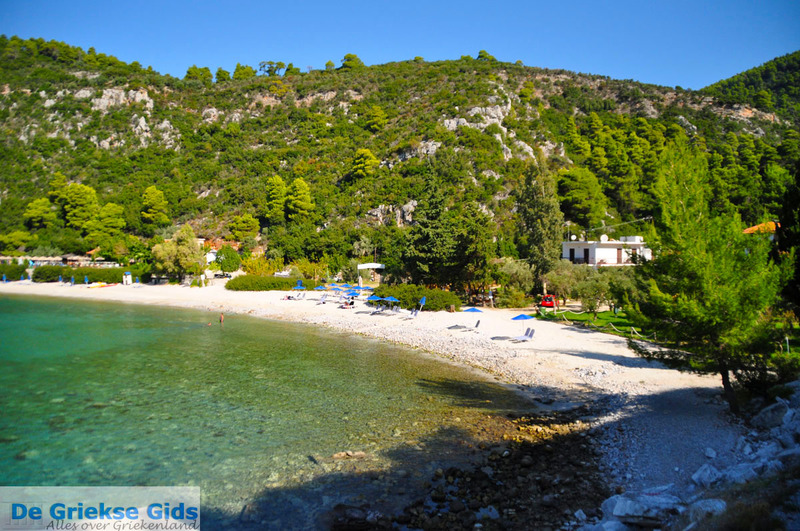 This beach has the same characteristics as Agnontas and it is surrounded by green forests of pine and plane trees. This beach is less crowded, but that does not mean it's less fun. It is more authentic. On the beach one can drink something or have a nice Greek snack. The road to both beaches is quite good and the nature is absolutely fantastic. 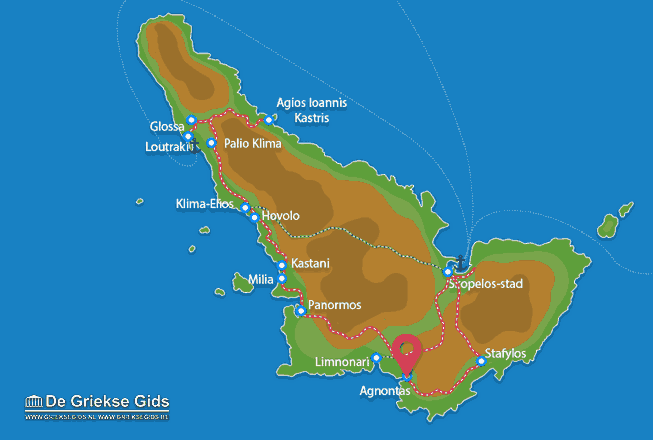 Skopelos: Where on the map is Agnontas located?